I am very concerned about the problem of the storage of nuclear waste. The government wants to build new nuclear power stations. If their plan succeeds, it will be at the cost of blocking the real solutions to climate change and a reliable future energy supply. It will also result in the continued production of dangerous nuclear waste and an increased risk from terrorism, radioactive accident and nuclear proliferation. Some environmentalists, faced with the urgent need to combat climate change, have reluctantly decided that nuclear power will have to be part of the energy mix. However, climate change itself also threatens the safety of nuclear power stations; many reactors are built on coastal sites vulnerable to the impacts of sea level rise, including flooding and erosion. I am pleased that Cumbria County Council’s Cabinet decided on 30th January 2013 that West Cumbria should no longer be considered as a potential location for a deep geological repository. However, the problem of what to do with radioactive waste already in storage will not go away. One of the fundamental problems of nuclear power is the hazard posed by the radioactive materials it produces. No one can guarantee that this highly radioactive waste won’t leak back into the environment, contaminating water supplies and the food chain. To me, the government’s plans to allow ten new reactors to be built are shortsighted to say the least. This would add threefold to the amount of highly radioactive waste we already have to deal with. The nuclear industry is hugely expensive. The construction and generating costs of nuclear power are greater than most renewable energy and energy efficiency technologies. Added to these are the costs associated with dismantling nuclear stations and waste disposal. Green Party policy is that nuclear power should be phased out and we should not consider building new plants. This is a much more encouraging picture than we are led to believe by the government. They want us to believe that we cannot do without nuclear power. 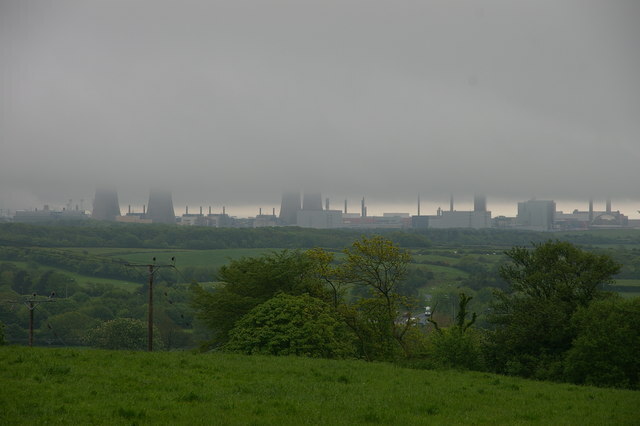 It is ironic that the Department for Energy and Climate Change (DECC) has the responsibility for the legacy of decommissioning nuclear reactors, roughly £1billion per reactor (averaged international figures). The expenditure on decommissioning in 2012-13 is £1.5 billion which is 42% of DECC’s budget. The Department for Energy and Climate Change is, of course, having its budget cut by Chancellor George Osborne, and it, in turn, has cut funding to a range of energy conservation and renewable energy schemes. This is the legacy of nuclear power; every year from now to eternity, the government of these islands, whether Green, Red, Yellow, Blue, Purple or Pink, will have to find funds to safeguard the legacy of the long-ago nuclear power programmes. This is why I believe the Green Party’s policy to phase out the use of nuclear energy makes sense. This entry was posted in *Location, Climate Change, Community, Derbyshire County, East Midlands, Economy, Energy, Environment, Issues, National, Public Services. Bookmark the permalink.